You've been gone so long, everything that's right has gone wrong. Teeth is a three-piece electro punk band from London, England. The group formed in 2008 when Prolapse ex-member Ximon Tayki (songwriter, programmer) joined forces with Veronica So (vocals), a Californian who was studying fashion in London. 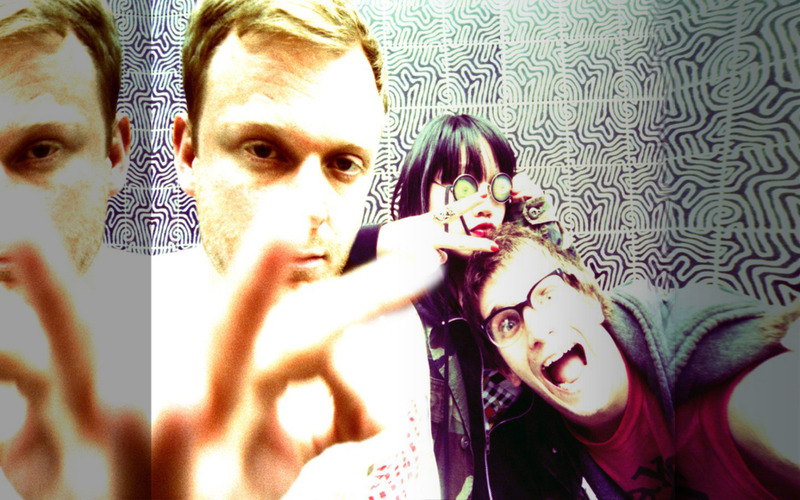 With the addition of Simon Whybray (drums), the group began gigging around East London's DIY music scene, garnering a reputation for their energetic performances and active online presence (they notoriously hacked into Lady GaGa's twitter account in 2009). It is also noted that enigmatic fashion icon Karl Lagerfeld named Teeth as his favorite band. In 2010, the group released their debut 7'' single entitled See Spaces on Moshi Moshi Records. The group released their debut full-length Whatever in September 2011, also on Moshi Moshi. Who says punk rock is dead? While angry guitar-thrashing punks may be a vanishing breed, East London trio Teeth have picked up the torch, wielding synths instead of guitars and turbo dance beats instead of pounding punk drums. Sounding like sugar poured into the machinery of a techno factory, their grinding, hook-filled electro compositions rarely extend past 3 minutes of ADD awesomeness, the perfect thing to set your Halloween in high gear. As the high energy sound on their 2011 debut Whatever can be frenetic, bordering on abrasive, it's hard not to compare them to fellow electro-whirlwinds Crystal Castles. However, Teeth tend to be even more energetic than their 8-bit loving counterparts, and embrace synthy soundscapes over house music tropes. “U R 1” builds a thrashing groove out of a rhythmic wall of distorted synth, and what sounds like highly distorted screams. From the description it probably sounds harsh and unpleasant, but Teeth's keen sense of rhythm, and singer Veronica So's sweet vocals slipped over all the beautiful chaos turns it into a fun and engaging dance track. With its swirling synths and house beat, album standout “Flowers” is one of the more straightforward club bangers on Whatever. As the band erupts out of the verse and into the chorus it sounds almost like a trance track twisted into a punk fantasy with its crunching synth hooks and So's dreamy repetition of the words “dream on.” “This Time” manages to take just a few building blocks-an echoing sample, arms raising trance synths-and turns it into an intensely complex track with real emotional power as So sings “you've been gone so long, everything that's right has gone wrong.” While guitar-based British dance punk bands like Franz Ferdinand and Bloc Party made a splash in the early to mid 2000s, Teeth have taken things a step forward, melding electro and punk into spastically syrupy bits of pure energy.